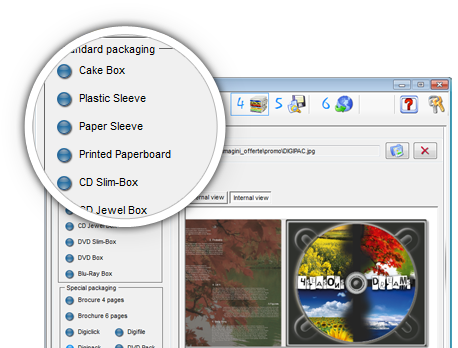 With CDCLICK i-Studio, the CD/DVD traditional publishing won’t stay the same for too long. 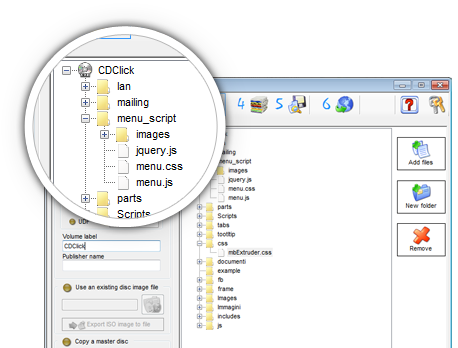 CDCLICK i-Studio is a freeware publishing software that allows expert and neophyte users alike to create the content and the label of their disc at their home or premises. 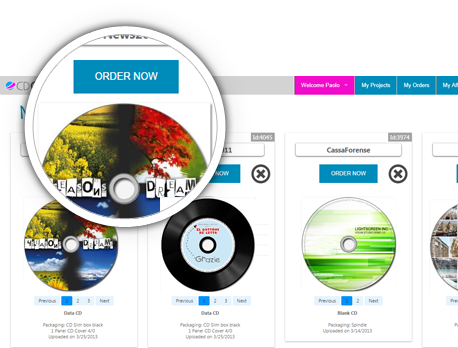 When the job is validated, the disc image can be safely uploaded to CD-Click “Virtual CD/DVD Factory” and the order placed online for one to hundred discs. If you have any problem with download and installation, please click here. Import an image that you have already edited with a graphic editor (Abobe Photoshop ® or similar). 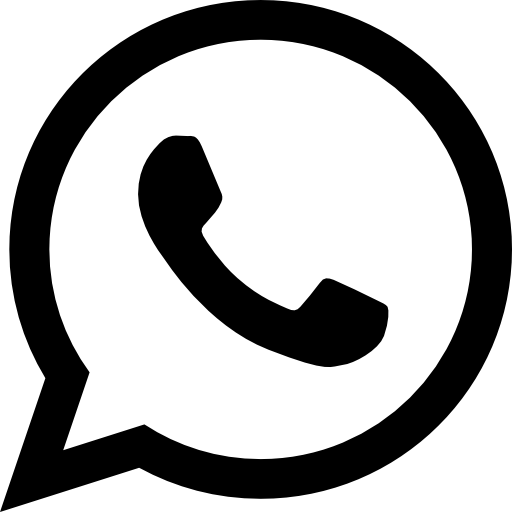 i-Studio compatible file format are: .bmp .gif .jpg .jpeg .png .ico .emf and .wmf. the i-Studio editor allows the user to add up to 4 text boxes each with its own font, size and text color. 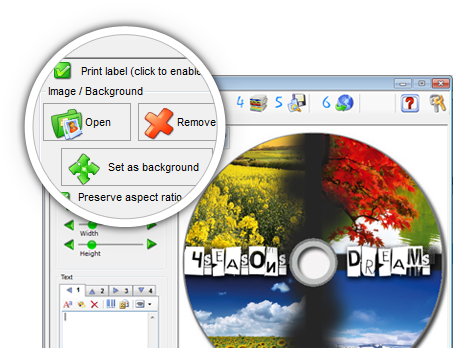 This function comes in handy especially when you wish to print different text strings for each disc (merge image and text ) or self-increasing serial numbers. Click to check a print preview of the label and eventually print it on your printer. By Selecting audio cd you can create your audio disc very easly. Import all the music you like. supported files are: .mp3 .wma .wav. 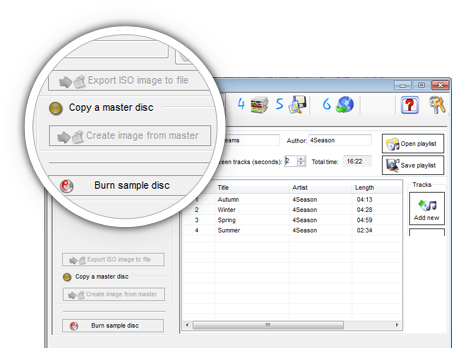 You can also read your master and get the disc image file ready to be uploaded. What you can import ? Select video dvd if you want to create a playable DVD. You can drag and drop your Video_TS folder, or you can read the master to create the iso image file. Drag-and-drop your files, or use an existing ISO image file. You can also import the files directly from your master disc. This option allows you to proof your project and make sure that the disc content is exactly what you were expecting. You can burn your disc with the drive installed in your PC, and test the content prior to upload the project file to the CDCLICK Factory. What You See Is What You Get: In designing the i-Studio client software, we wanted to offer our customers the piece of mind they needed prior to commit the Project to Production. This is why we borrowed the WYSIWYG concept from the graphics and printing industry. 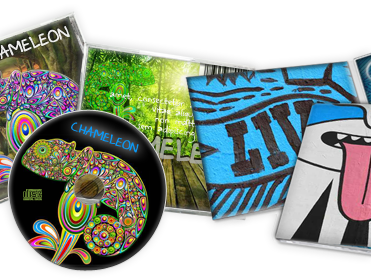 On spindle, plastic or paper sleeve, cd wallet, cd jewel case or slim case, dvd box or slim box, digipack , digifile, digisleeve and others. To upload your project, you need to be a CDCLICK registered user. If you are not a registered user, please Register now. The upload protocols used by CD-Click guarantee the Data Integrity of your project even under the most adverse line conditions. They are indeed the most reliable used in the industry. 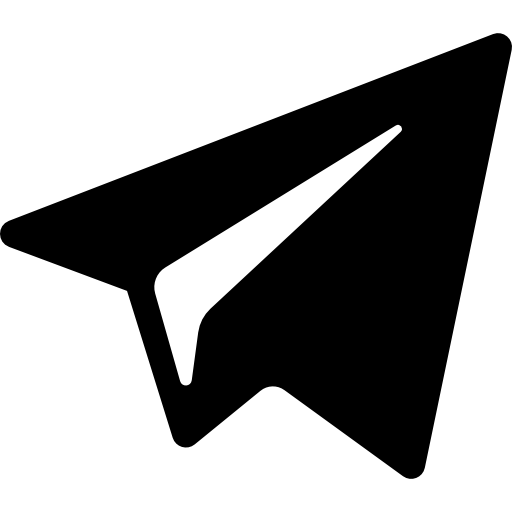 Once started, the Uploading process will automatically resumes transmitting the project to the CD-Click server even if the user switches his PC off, the internet connection or the power is lost. Uploading priority is user selectable among LOW, NORMAL, HIGH or MAX levels.